Last weekend Ted and I traveled to Saratoga Springs in Upstate New York. 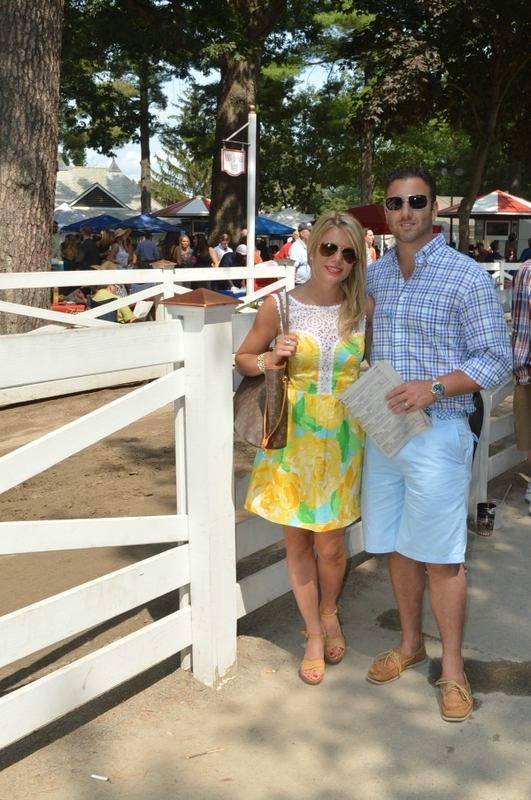 Ever since seeing The Real Housewives of New York at the Saratoga Race Course last year I have wanted to visit. 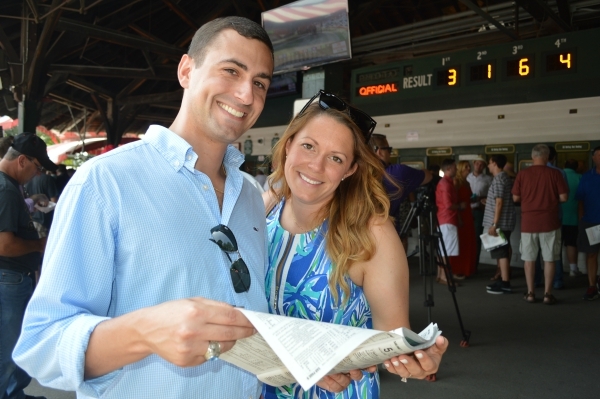 Our friend Mike had been to the town and track several times for work events and suggested that we make a couples trip for the annual Travers Stakes. We planned back in early spring and the weekend finally arrived. Ted and I love watching the Triple Crown races so were especially excited when it confirmed that American Pharoah would be racing. 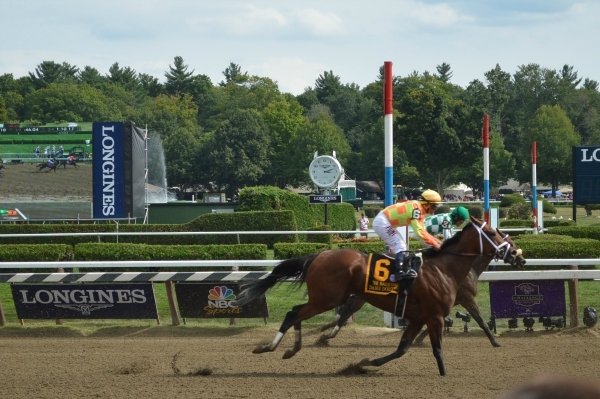 Now I know why they call Saratoga Springs the "Graveyard of Champions" ... sadly American Pharoah was unable to top his Triple Crown victory with Travers. Mike and Kate discussing their bets. Our first winning trifecta bet! After emptying our cooler (I love that the track is still BYOB) in the general admission section we moved to the clubhouse to see the action at the finishing line. Ladies in Lilly. Kate found her track dress at The Pink Paddock, a Lilly Pulitzer signature store, downtown. I think we have a new tradition in the making. We were already talking about visiting next year! That dress was made for you- looking lovely in your Lilly! What a fun weekend! Sounds fun - I'd love to try and go one year! So fun! And I love your dress! Looks like so much fun! You and Ted are the cutest couple!